(Feb 13): That the Trump agenda is good for banks is self-evident; that shareholders will get their cut is a lot less likely. Friday’s news of the resignation of Daniel Tarullo, the Federal Reserve official who served as quarterback of the effort to tame systemic risk in the banking system, touched off another leg in a sustained and powerful rally of US bank shares, which are up nearly 30% since shortly before the election. Coming just after Trump’s order to review and likely gut Dodd-Frank Act legislation, Tarullo’s exit, planned for April, cements the view that US banks will be allowed to carry less capital. A move to delay implementation of the application of the Fiduciary Rule to retirement advisors is a good indicator that highly profitable but low-value (for clients) products will continue to generate revenues. To an investor from Mars more revenue spread across less equity would seem to be a sure thing. Those of us who’ve lived on Earth these past two decades should have our doubts. There is a reason banks, especially the largest and those which operate investment banks, trade at such low multiples of earnings, and it is not because they have a proud track record of rewarding shareholders. Since February 1993 the KBW index of bank shares has returned only about 60% as much as the S&P 500 and done so while treating investors to teeth-rattling sell-offs in 1998, 1999, 2001, 2002, 2007, 2008 and 2009. The winners? Well, bank employees of course, who’ve trousered serial fortunes at the expense of taxpayers and shareholders. A move to relax oversight or put the capital bar lower will set taxpayers up to fund a bailout once again, but probably not before we see a couple of explosive rallies and some just as explosive sell-offs in banking shares over the next three to five years. Complexity will come back into vogue, creating more opportunities for banks to sell clients, and bankers their banks, risks they don’t understand. You can hardly blame them. Opportunities to take the upside when others own the risks are few and far between in this life. Expecting Trump and his appointees to govern otherwise ignores the lessons his own business career teaches. Expecting bankers to police themselves is just silly. Two elements in the Trump agenda are fundamentally positive for banking profitability: deregulation and reflation. While the former leaves shareholders as likely fall guys for self-interested risk-taking by insiders, the second is legitimately positive. Fiscal stimulus and tax cuts pose a problem down the road but over the short term even their prospect has already driven interest rate expectations higher and increased the gap between short- and long-term interest rates. As the banking business model is predicated on borrowing short and lending long, a flat yield curve is bad news and negative interest rates, as seen in much of the world last year, are poison. A bit of inflation, even more than a bit, is just what banks need; it makes them more profitable and helps whet clients’ appetite for debt. And don’t expect the Fed to spoil the party. With Tarullo’s exit Trump will be able to fill three of the seven governor positions at the Fed. If he does not offer Janet Yellen another term at chair next February he may get another. So why, if they will only get shafted in the end, do investors persist in backing the banking sector follies? An insight from Paul Woolley, of the London School of Economics, about how asset managers are punished and rewarded helps to explain. Most fund managers are asked to beat a stock market index, or one which tracks other funds, without taking too many huge bets. Outperform, or at least stay close to the pack, and you will probably continue to draw a hefty pay packet. Trail the market badly and out the door you go. 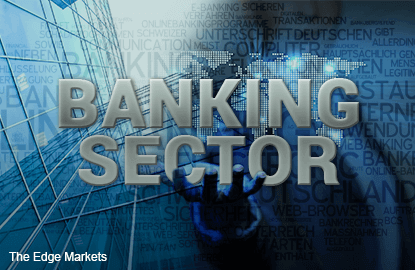 That forces money managers to buy what is going up strongly, and as we are seeing few sectors can rally as explosively as banks when the going is good. Just as bankers have perverse incentives to make money while times are good, so do fund managers, whose performance is judged quarter to quarter or at best over three-year intervals. We’ve seen this movie before, and though we may like the popcorn we won’t enjoy the ending. The opinions expressed here are those of James Saft, a columnist for Reuters.